The Historic Trust acquired Providence Academy in 2015 and continues to operate the Academy as a small business office building with vibrant spaces for events and public activities. The extensive due-diligence process prior to acquisition found the building to be in good condition given its age, but needed repairs to avoid irreversible decay. The Historic Trust commissioned a study to identify deferred maintenance and capital improvement projects and create a strategy to address the most immediate needs. In total, renovations of the building are estimated to exceed $15 million over a number of years and phases. Most immediately, Providence Academy needed a new roof, brickwork repair, and porch renovation to prevent further damage. Upon acquisition of the property, the Trust initiated the first phase of renovation to address these immediate needs. In March of 2016, $1 million was approved out of the Washington State supplemental budget to address these issues. With additional funding from donor contributions and operational funding from the building, a $2.1 million renovation was completed in Spring 2018. Currently, funding is being sought for the additional $15 million of renovations planned for Providence Academy. In addition to renovations to the Providence Academy building, there are a series of expected site improvements required to achieve the vision of the Providence Academy as a center of community activity as well as address current code and safety deficiencies on the site. 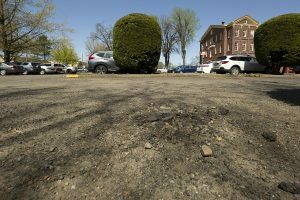 Total site improvements are expected to exceed $10 million, with an immediate $3 million required to address the unimproved parking surface on the site. After years of repairs, the roof was a patchwork of roofing materials and was leaking badly. Approximately 50 five-gallon buckets occupied the attic catching drips from leaks in the roof to mitigate continued damage to the building as a result of water penetration. 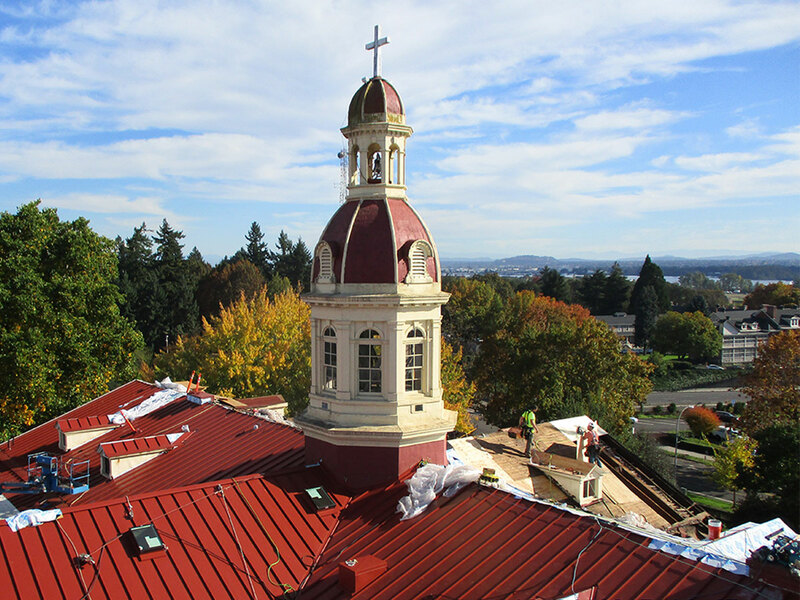 The renovation included an entire roof replacement with red standing seam metal roofing that matches the historic material, in keeping with the building’s historic character, and incorporated elective seismic improvements by adding plywood sheathing to the building diaphragm and structural reinforcement to improve the integrity and stability of the building. 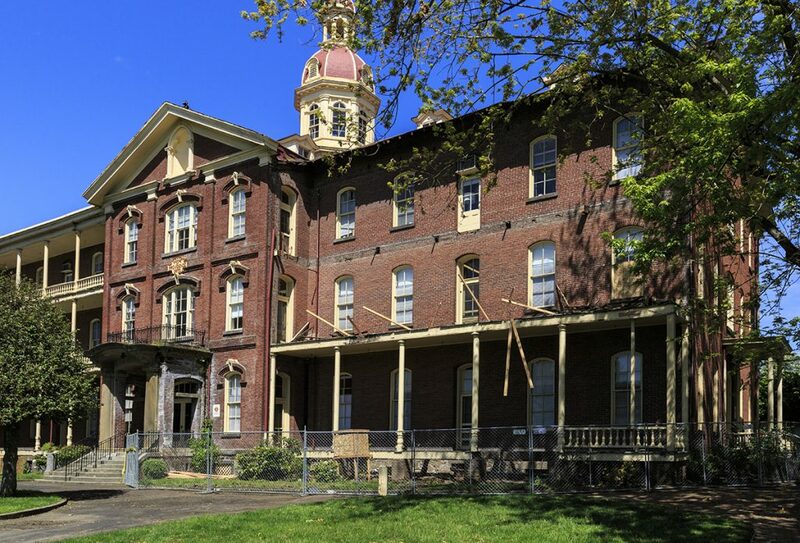 The southern porches of the Academy were rotting in place due to the southern exposure with failed decking, supports, railings and other components not meeting current code requirements. The southern porches were removed and reconstructed starting from the footings in the ground all the way up to the porch roofs. Soon, additional handrails will be added to allows added height and accessibility for tenants and visitors. Phase II of the exterior improvements will address similar renovation hopes for the northern porches of the building as well as added ADA accessibility. 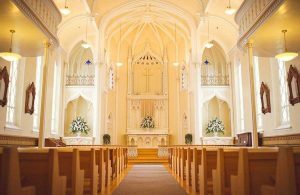 Returning the Ballroom and Chapel to their original glory through addressing water damage to the spaces, finishes, lighting, fixtures and the infrastructures such as heating and cooling. Repairing areas of rot on the north porches and bring the railing up to code so they may be used by the public. Improving the required needs of a public buildings such as bathrooms, hallways and common areas. 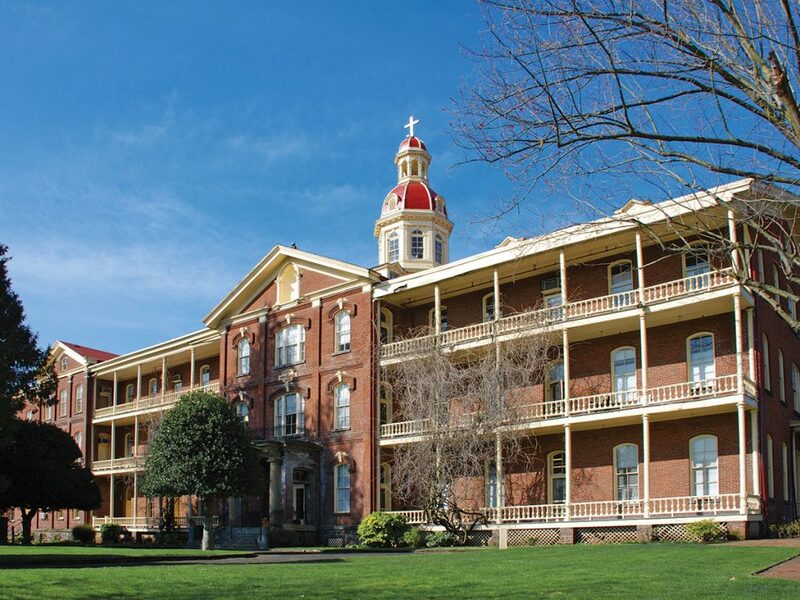 Updating and replacing the Providence Academy’s dated mechanical, electrical, and plumbing systems as they are reaching the end of their expected life span. Improving ADA access by installing a new elevator and ADA accessible to entry/exit points. Demolishing the restaurant building, built in 1976, and replace with landscaped public space, improving views of Providence Academy from the corner of Evergreen and C Streets and transforming the site into community green space. Improving the parking surface to meet current code requirements through paving, lighting, storm water draining, upgrading utilities and other required site improvements. Effective December 31, 2015, current code required all unimproved surfaces on the site to be upgraded. Replace the roof on cottage building and renovate interior of the structure. Address the preservation of the Laundry Building, Boiler Building and Smoke Stack.